Delivering Personalized Emails embedded with 1-1 Recommendations and Content is more important than ever in today’s market. Shoppers are inundated with an overwhelming amount of communication from brands, retailers and service providers and are challenged to sort through the masses of emails to click and open the communications and promotions they care about. Which is exactly why, sending basic “Let us know how you liked XYZ” and “Because you bought X, you might like Y” emails don’t cut through the clutter anymore. This type of standard email marketing loses the stickiness and CTR that encourages the shopper to return to the site. Retailers must approach emails with a true 1-1 personalization approach and deliver email content, subject lines, and imagery that is tailored to each individual shopper. There is a very fine line between getting your customer’s attention and pestering them with email communication. An easy way to strategize email cadence is to assess the frequency of your customers’ purchases and align it with your email campaigns. For example, if you have a group of customers who purchase once a week you should continually remind them to return to abandoned products or push promotions. Similarly, for customers who regularly convert during sales and holidays gearing them up for the holiday season sales and promotional with preview messaging and content will engage and excite them for holiday shopping. The key is leverage your data and customers onsite and/or offline behavior and marry it with how you communicate with them through email. There’s nothing more important than your first impression. Win over customers who have either opted into your newsletter, signed up for a new shopper promotion or completed their first purchase with a personalized welcome email. Welcome emails that contain promotional offers or discount codes achieve some of the best open rates. To further impress and encourage loyalty, add content or recommendations based on browsing data from their most recent onsite session. Every interaction matters, even if it doesn’t result in a purchase or add to cart. 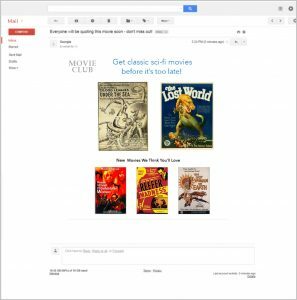 Use data gathered from browseing sessions and purchases to customize content and offer related recommendations within a personalized email. These emails don’t necessarily need to be tied to specific promotions, abandoned carts, or transaction, leverage these interactions to maintaining awareness and keep your brand top of mind. 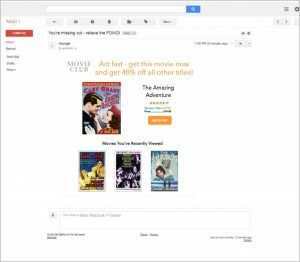 Encourage purchase completion by triggering personalized remarketing emails to send when a shopper abandons the site after browsing or adds an item to their cart but fails to convert. The key, as we mentioned earlier, is to personalize not only the product recommendations and the email content itself, but to be creative with your subject line. Consider something like ‘Don’t let those boots slip away!’ instead of ‘XYZ is still in your Cart’. When a shopper has added an item to the cart it’s a clear signal of interest in that particular item, you might stay away from offering similar product recommendations that would potentially steer them in a different direction and consider incentivizing them to convert with a promotional offer. In some cases, a shopper might add an item to their cart and not purchase because they don’t meet the threshold for something like free shipping. In these instances you might consider sending an email that reminds them of the item they added to their cart paired with related items that are in the appropriate price range to help them achieve the free shipping threshold. 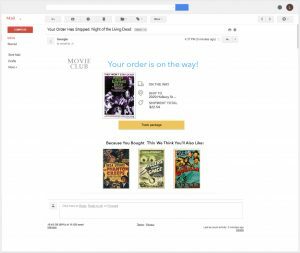 The shopping journey doesn’t end with purchase completion, today’s shopper expects that you will continue the 1-1 experience with personalized order confirmation emails followed by personalized order shipment notifications and even post-delivery emails. Engaging your customer post purchase is your opportunity to not only wow your shopper with your level of customer service, but to also help them get as excited about the item(s) they purchased as you can. When relevant, send content related to the item, brand, or category of their purchase within shipping confirmations. This encourages them to continue engaging with your brand while they await their shipment. Within delivery notifications engage shoppers with customer service contact information in the event they have any questions, concerns or exchange requests. And even after delivery, elevate your brand with an email asking them to share their purchase with you via social, reviews and use this forum to encourage them to return to your site to see newly stocked items or check out a new promotion. Using purchases to continue a conversation helps maintain interest, relevancy and ultimately drives increased lifetime value. More is not better, especially as it relates to email. Take time to understand your shoppers as a segment of one and send them emails with a purpose and remember that the purpose does not always need to be conversion. For new customers it is often best to communicate via email in ways that drive engagement while personalized content or recently viewed products is most impactful for customers that you know. 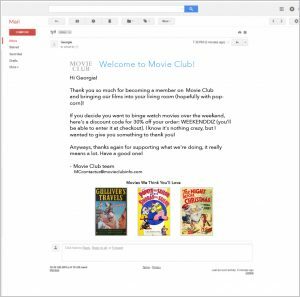 Leverage promotional offers to encourage email opens and use the actual email to let them know you appreciate and understand them. Emails are the easiest way way for you to communicate with each shopper on a 1-1 basis at scale; all you have to do is use the data you already have. For more information on how to best personalize your email campaigns email us at personalize@richrelevance.com or click here.